Coming off the premiere of Interpol's new "All the Rage Back Home" last week, the New York post-punk unit have announced they'll be taking that track and the rest of their upcoming El Pintor LP out on tour later this fall. A full tour schedule was released today (July 14), confirming that following a few previously announced festival and club appearances, the tour proper begins September 15 out at Vancouver's Commodore Ballroom. They'll head beneath the U.S./Canada border from there, but make their way back up north in November for shows in Toronto and Montreal before closing out the trek in Washington, DC. You'll find all of the North American tour info down below. As for El Pintor, it is due out on September 8 on Matador. You'll find the music video for "All the Rage Back Home" beneath the tour info. 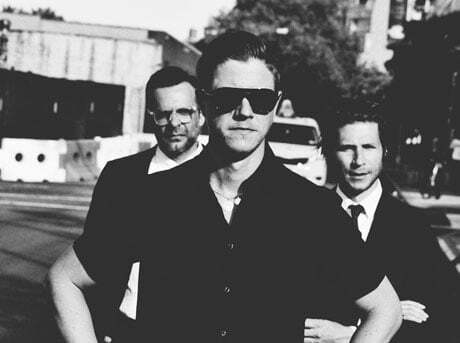 ​Interpol Announce 'A Fine Mess' EP, Share New Song "The Weekend"